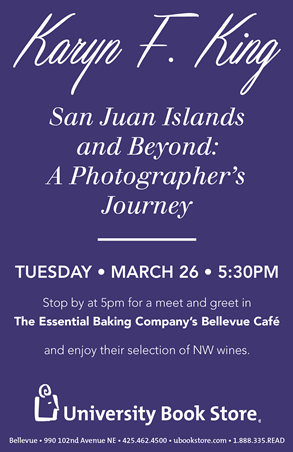 Come meet author and photographer Karyn King at 5pm during our first Happy Hour at The Essential Baking Company’s Bellevue Café* – located inside The University Bookstore in Bellevue. University Bookstore welcomes Karyn King for a book signing and reading from her book San Juan Island and Beyond—A Photographer’s Journey, a pictorial tour of the most stunning seascapes and marine wildlife in western Washington. 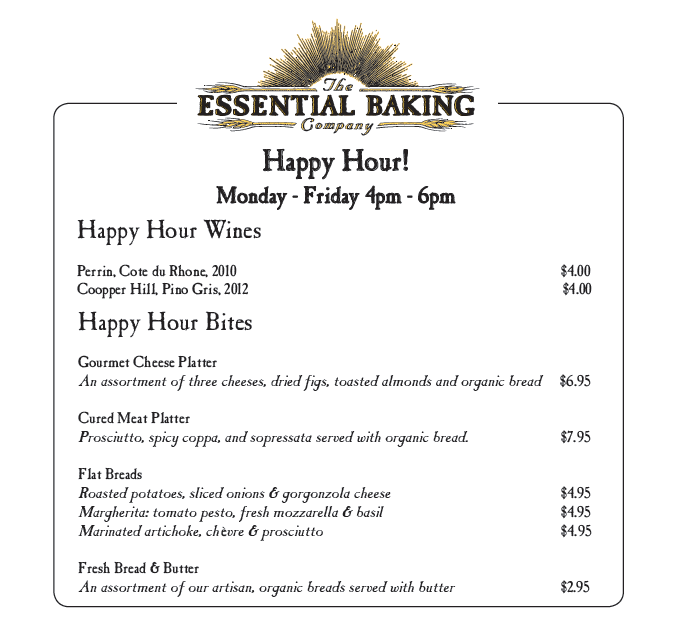 Introducing our Happy Hour Menu at The Essential Baking Company Cafe Bellevue, offered weekdays from 4-6pm. Essential Baking Company Breads Available At Costco Fresh Baked Bread On Your BBQ?